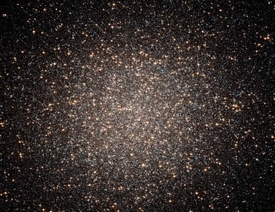 Buy this brilliant photo of the center of Globular Cluster Omega Centauri. Very high resolution image. STScI-2008-14 - The core of the spectacular globular cluster Omega Centauri glitters with the combined light of 2 million stars. 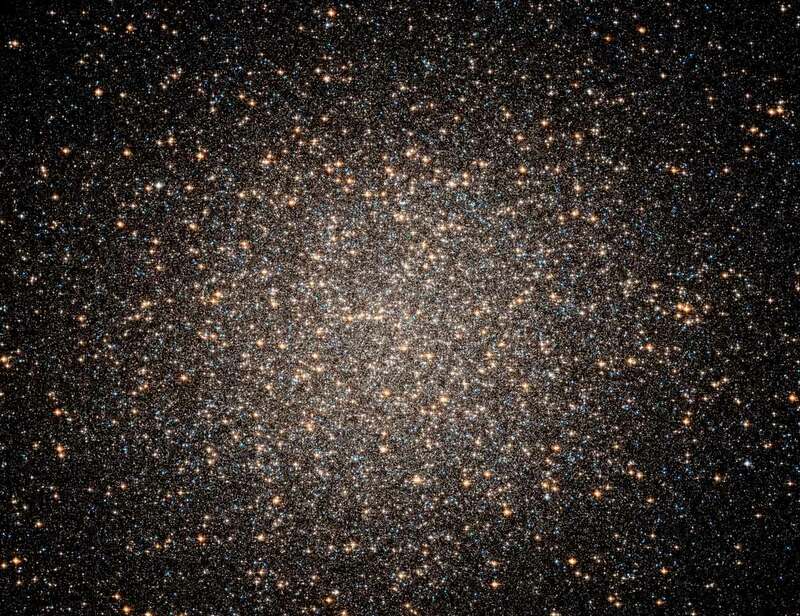 The entire cluster contains 10 million stars, and is among the biggest and most massive of some 200 globular clusters orbiting the Milky Way Galaxy. Omega Centauri lies 17,000 light-years from Earth. Among the possible explanations for these speedy stars � and the one favored by their study � is that an intermediate-mass black hole of approximately 40,000 solar masses resides at the center of Omega Centauri. Its powerful gravitational field speeds up the motions of stars near the core.